Rose pink, fragrant, double summer flowers with a silver sheen contrast well with the green leaves. 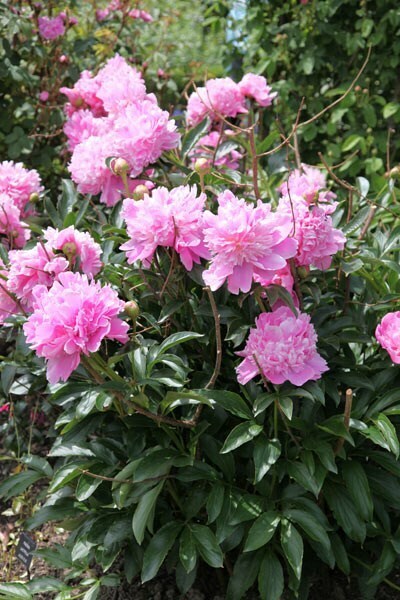 It is an heirloom variety dating from the late nineteenth century, and for decades it has been one of the most popular pink peonies. A delightful plant, which is perfect for the middle of a partially sunny border, the scented blooms make fabulous cut flowers. Garden care: In early spring apply a balanced slow-release fertiliser around the base of the plant and mulch with well-rotted compost or manure. Easy to use website. Came well packaged. Decent growth and a few large flowers in first year. Little fragrance noticed so far. Need to see how this plant develops.